The pride of your pizza: the toppings! For the toppings you must pay special attention to the right combination: only combine ingredients whose flavors go with one another. Click here if you want to learn more about it. The quality must be perfect, but the quantity can be small. Depending on the number of toppings that you want to put on you may need to reduce the quantity of each topping. 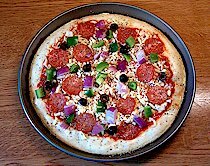 Leave an average space of 1/2” between the toppings. The good taste of a Piero's pizza is not created by a vast quantity of toppings but by allowing you to taste all ingredients individually. 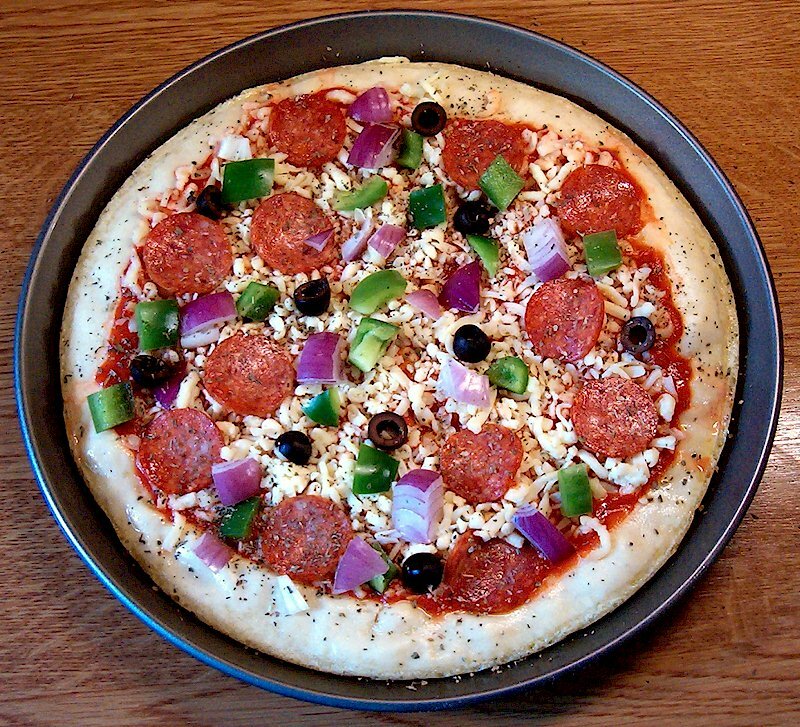 If you put too many toppings on your pizza, you will not be able to taste the individual flavors any more. The toppings for this pizza will cost you approximately $ 0.94.